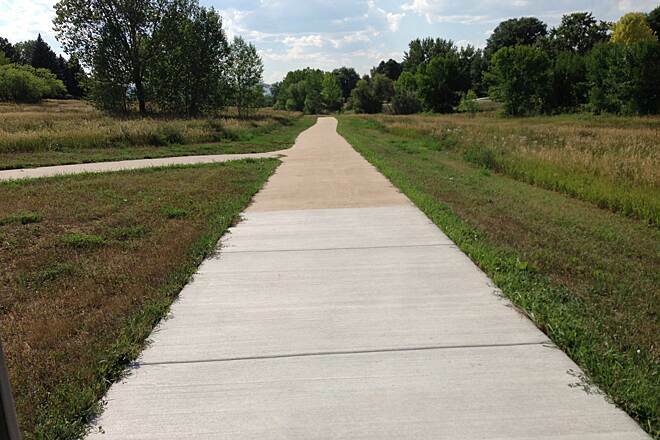 A short, but useful suburban trail, the Lilley Gulch Regional Trail helps to connect numerous neighborhoods in the community of Columbine with local parks and schools, and provides a safe and off-road means for recreation. The trail begins in the east off of Pierce Street, just a short block north from where the Dutch Creek Regional Trail passes through. 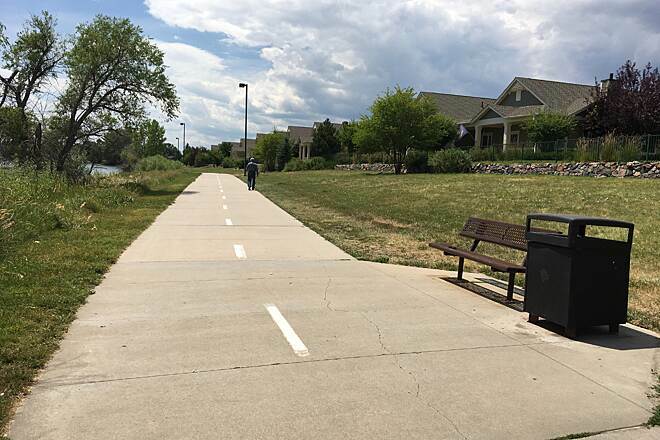 Heading west, the concrete trail takes you behind suburban homes through a pleasant corridor of trees and grassland, passing under Peakview Drive via a culvert and bringing you inside Woodmar Square Park. 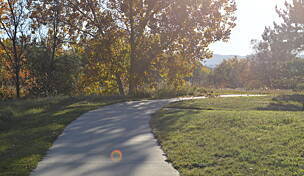 The park offers soccer and baseball fields, a basketball court, and a playground, making it a popular family destination. 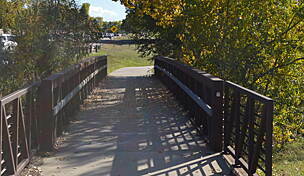 The trail continues through the park and heads under Wadsworth Blvd, continuing west right next to Colorow Elementary School. Countless small paths provide access to and from the various neighborhoods along the trail's route, making it a great way for local children to get to school. 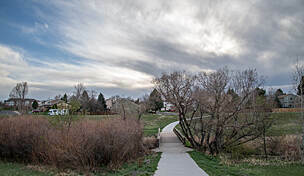 Past the school, the trail goes by the small, wooded Chief Colorow Park, before crossing S Holland Way and entering Lilley Gulch Park. 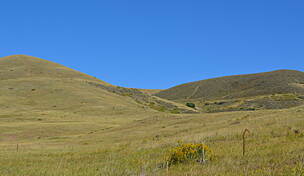 Even more sports fields and playgrounds can be found here, as well as the Lilley Gulch Recreation Center. 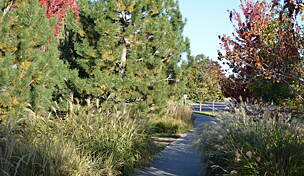 The trail comes to an end just outside the park at S Kipling Parkway, a short distance away from several large shopping centers. 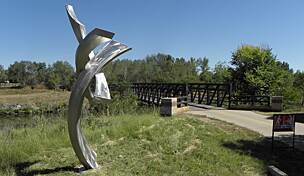 While the Lilley Gulch Regional Trail does not directly connect to the larger regional trail network, as many of the other nearby trails do, it functions as a valuable community asset. 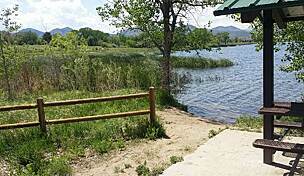 Parking is available at the Lilley Gulch Recreation Center at the trail's western end. 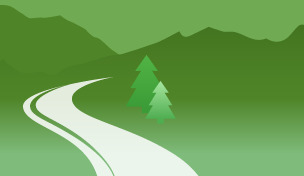 Additional on-street parking may be available; be sure to follow any posted signs and warnings. 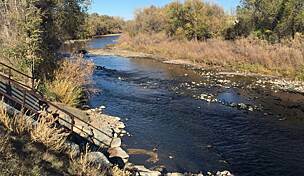 To reach the recreation center from the direction of downtown Littleton, take W Bowles Ave in Littleton heading west across the Platte River. Continue on Bowles Ave for several miles, then turn left onto S Holland Way. The parking lot will be on the right in about a half-mile.